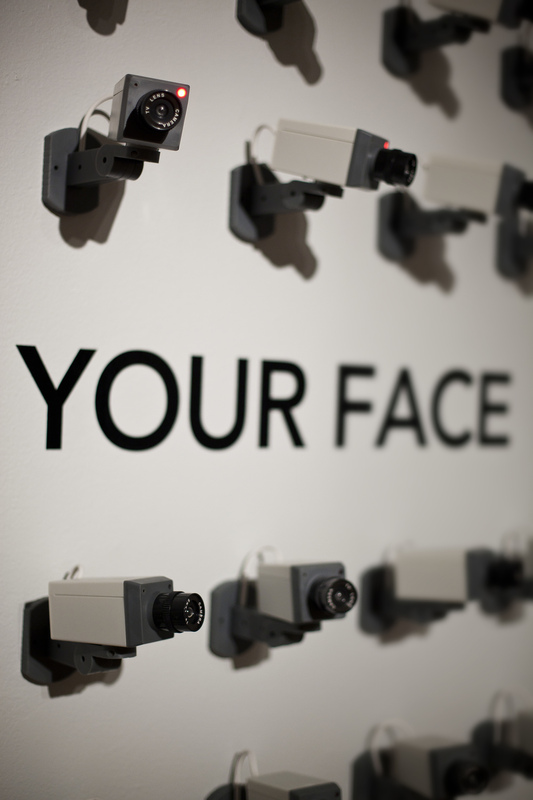 URME Surveillance is an subversive intervention that protects the public from facial recognition surveillance systems in a variety of ways. 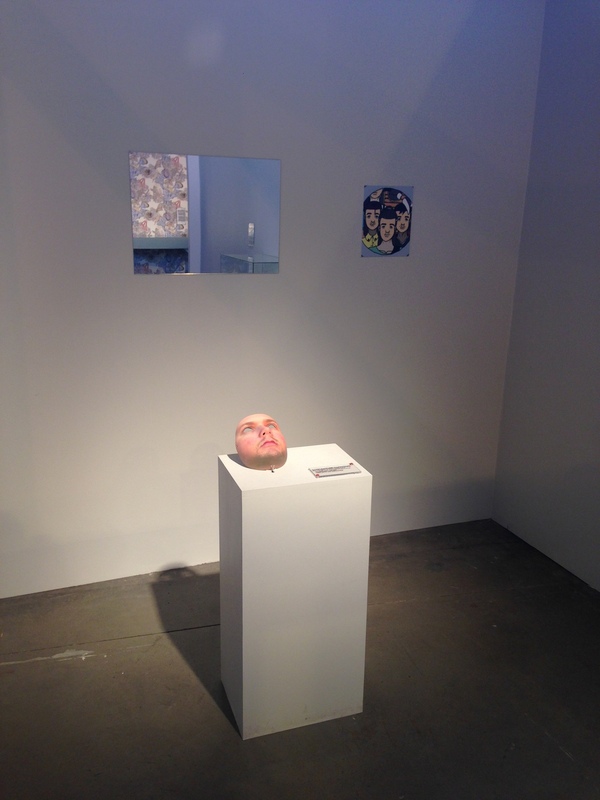 The principle method is by inviting the public to wear a photo-realistic, 3D-printed prosthetic of my face. 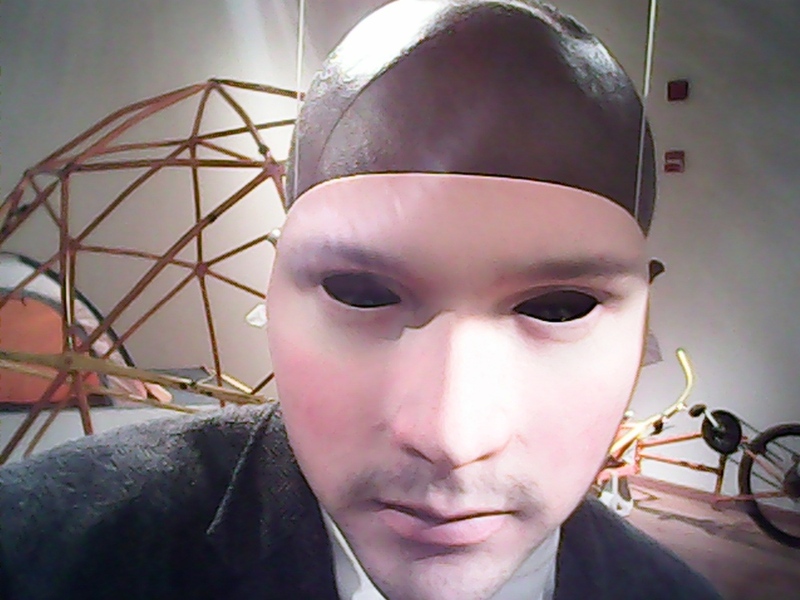 When a user dons the prosthetic, camera systems equipped with facial recognition software identify that user as myself, thus attributing all of their actions to the identity known as “Leo Selvaggio.” In this way, wearers of the prosthetic safeguard their own identities by performing my persona in surveilled areas. URME Surveillance currently consists of three primary devices. 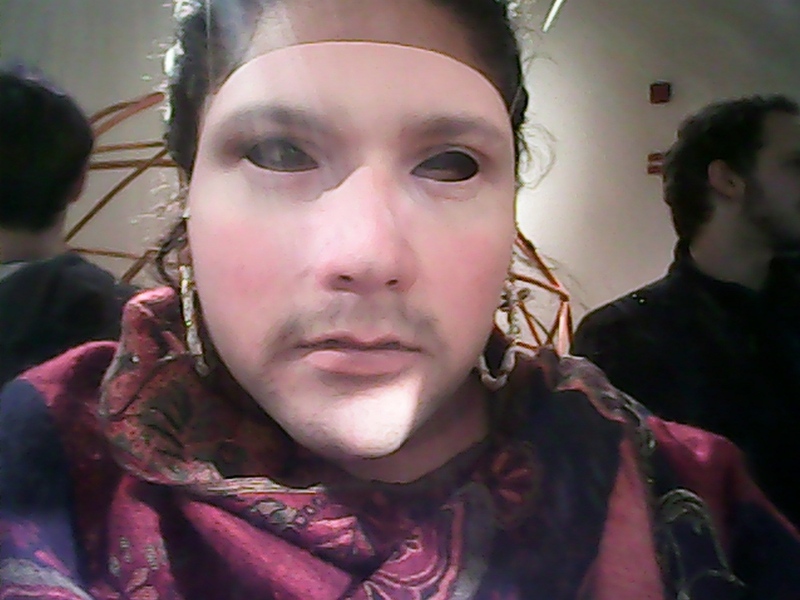 The first is the URME Surveillance Identity Prosthetic, which is a 3D printed, photo-realistic mask of my face. 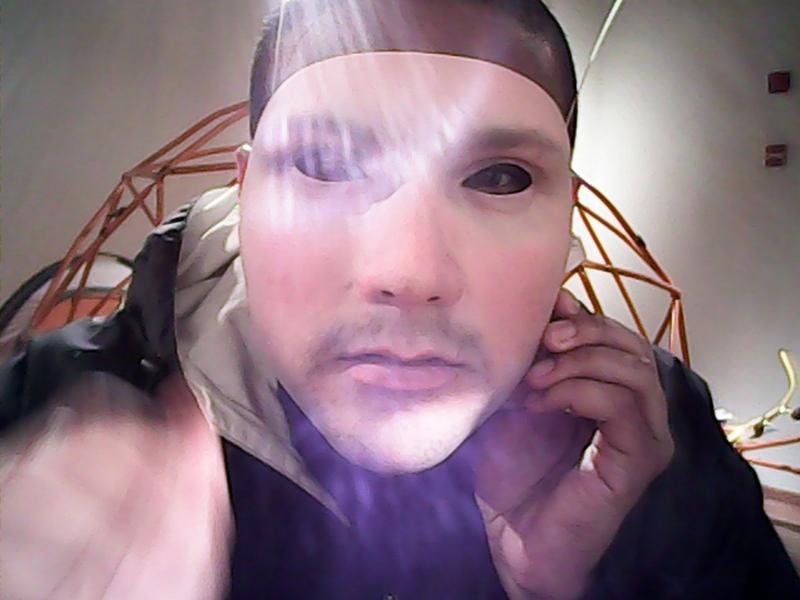 The second is the URME Paper Mask, a economical alternative that lends itself to groups such as activists and protesters, and lastly the URME Facial Video Encryptor, a custom built software that encrypts files by digitally replacing up to five faces in the video with my own. These devices are made available to the public at www.URMESurveillance.com. Click on the names below to navigate to each device on the URME Surveillance website. 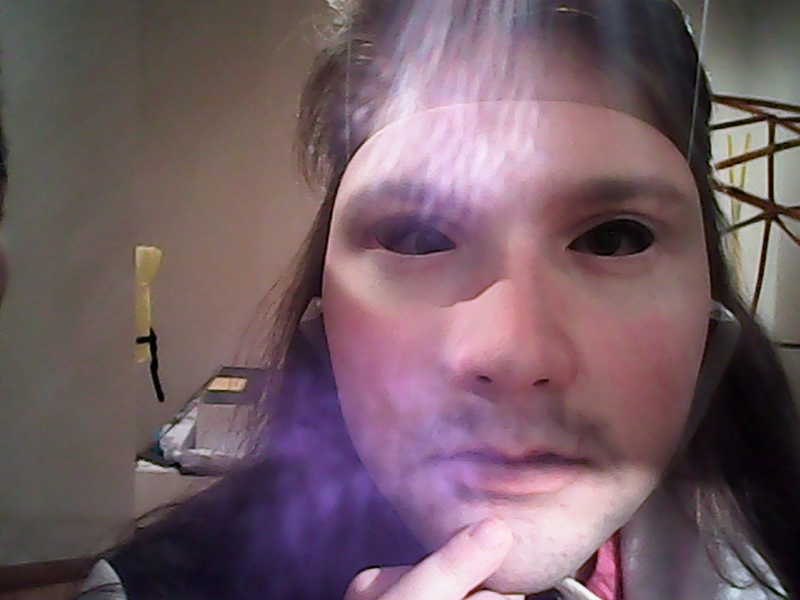 Above is a GIF demonstrating the URME Facial Video Encryptor. Below is a GIF of a variation of URME FVE working live in the gallery. The Albert P. Weisman Award during the project's inception. ThatsMyFace.com which manufactures the URME Prosthetic at a deep discount for my audience. The Chicago Department of Cultural Affairs Individual Artists Program Professional Development Grant. 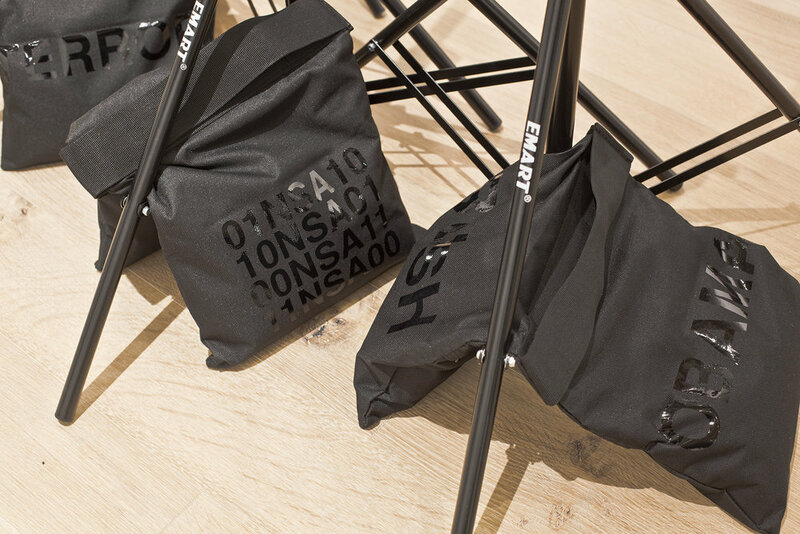 lastly by the public-at-large through an Indiegogo Campaign which raised 256% of the project's funding goal. 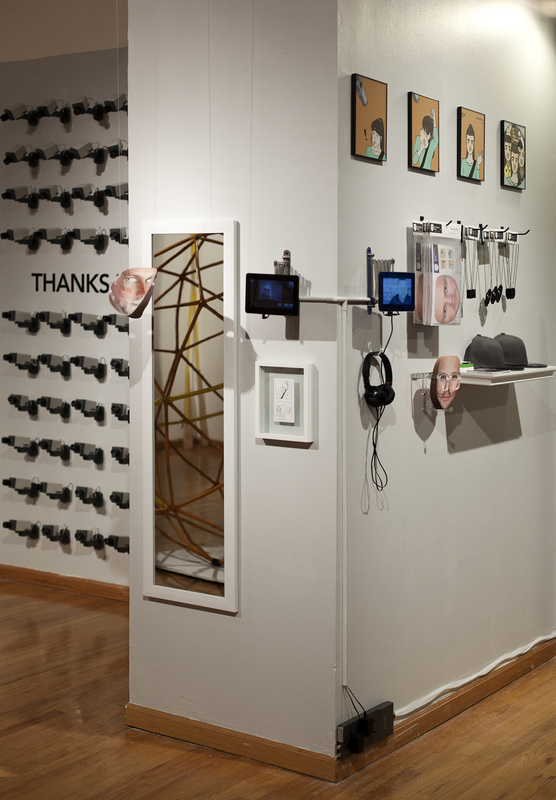 Through this generous support, I have been able to promote and expand the URME Surveillance project significantly through three primary modes of presentation: exhibition, public engagement, and publication. 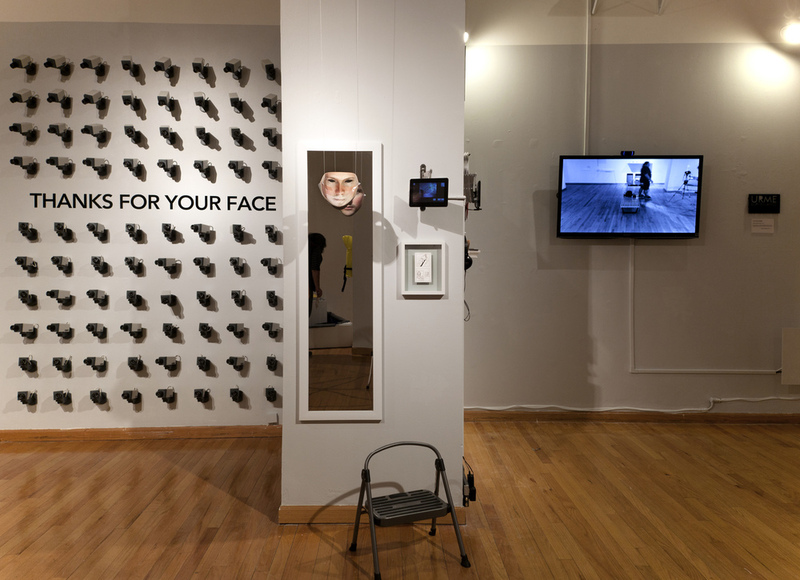 URME Surveillance, as it exists in the gallery, is an interactive and sculptural installation that asserts my identity is a defense technology against surveillance. 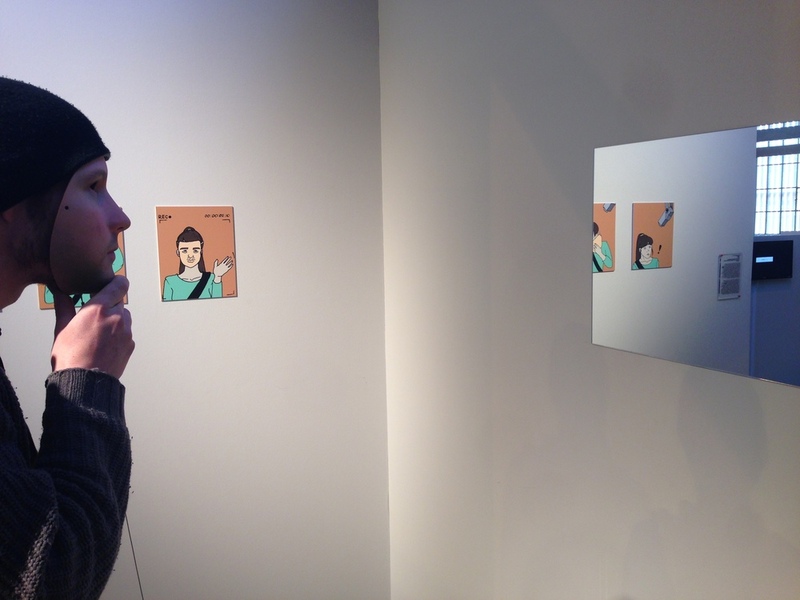 URME Surveillance challenges viewers to consider the malleability of their identities by misrepresenting and corrupting my own. Working in Chicago, the most surveilled city in the nation with a network of 25,000 cameras routed to the most advanced facial recognition program available, I have an overwhelming urge to protect the public from this surveillance state. 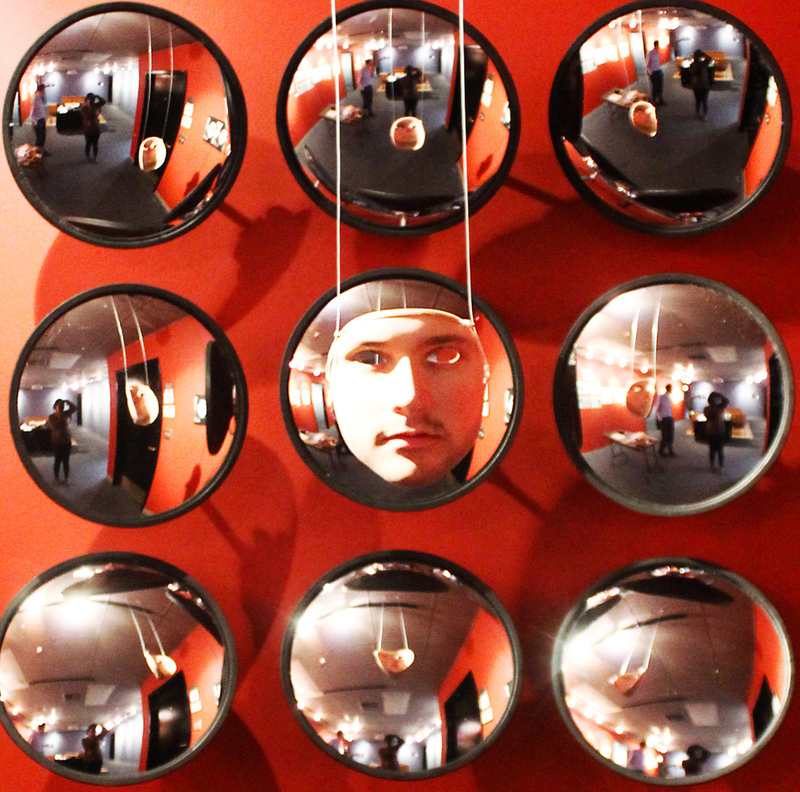 This wall consisted of 80 dummy cameras that move when motion is detected. Their toy-like aesthetic suggests that the camera is a nostalgic symbol for surveillance, while the tablet only a few feet away represents modern surveillance technologies. Installation is modular. Above: URME Selfies taken by particpants using the provided tablet. I was invited by Chicago artist and curator Eden Unluata to create site specific work in the historic Uptown Arts Center. I chose to engage a corner that seemed unresolved to me which allowed me to use new materials for this installation, specifically quarter-dome security mirrors. URME Surveillance was invited to be exhibit as part of the Saint-Etienne Design Biennial in the A-T-T-E-N-T-I-O-N exhibition. 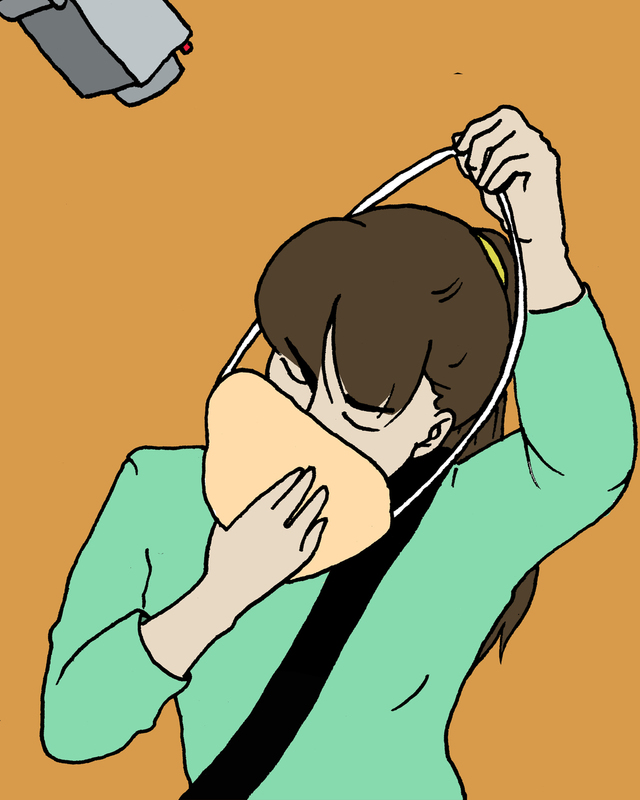 In addition to the Surveillance Identity Prosthetic, they requested the illustrations drawn for URME Surveillance by Haley Weigman. 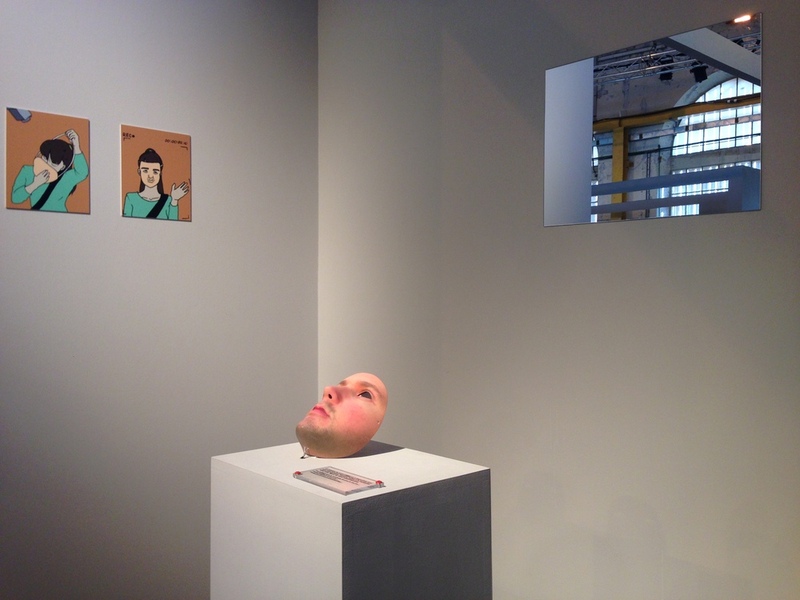 I was invited by curator Margarita Osipian to show work as part of the Big Brother Awards in Amsterdam. The work included several installations including one in the foyer of the theatre, two additional installations in the theatre's restrooms. 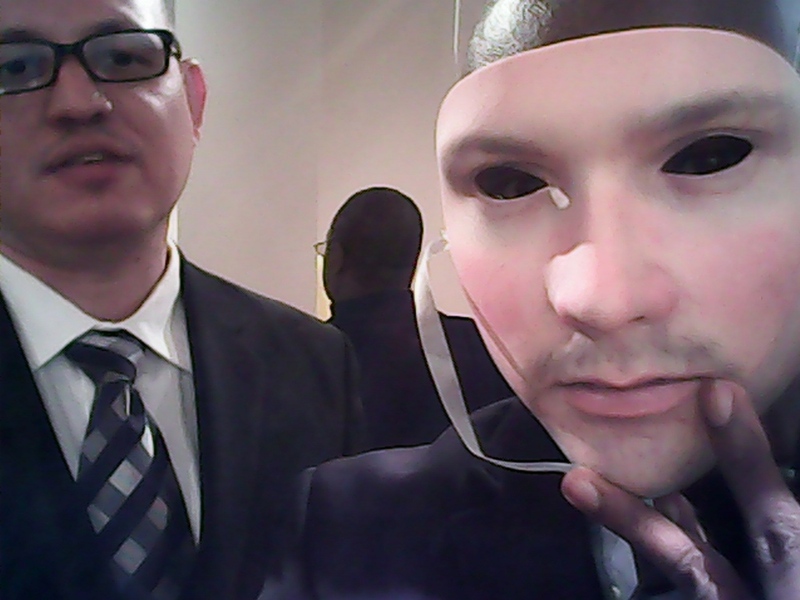 In addition on the night of the awards, four performers roamed the premises wearing the URME Surveillance Prosthetic. 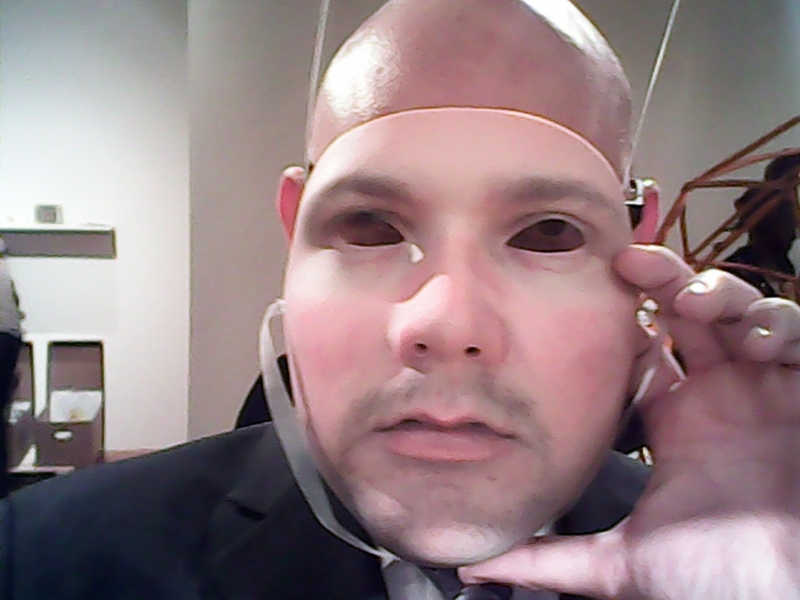 Versions of my URME Paper Mask were designed into the exhibition programs. Public Engagement is critical to URME Surveillance mission as well as its sustainability as an ongoing project. Through lectures, workshops, and other methods, URME will continue to work with the public to examine structures of power, prejudice, and privilege within surveillance practice . Below is a selection of how I have engaged publics in the past. In addition, I have created an active community on Facebook with an audience of approximately 500. Art Souterrain is an annual festival that floods Montreal's underground tunnels and buildings with over 60 public art works. 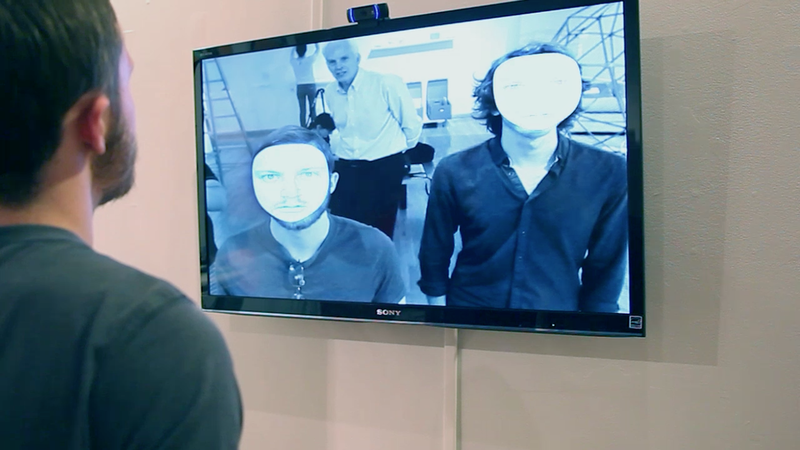 URME Surveillance was invited to exhibit its Facial Video Encryption software. 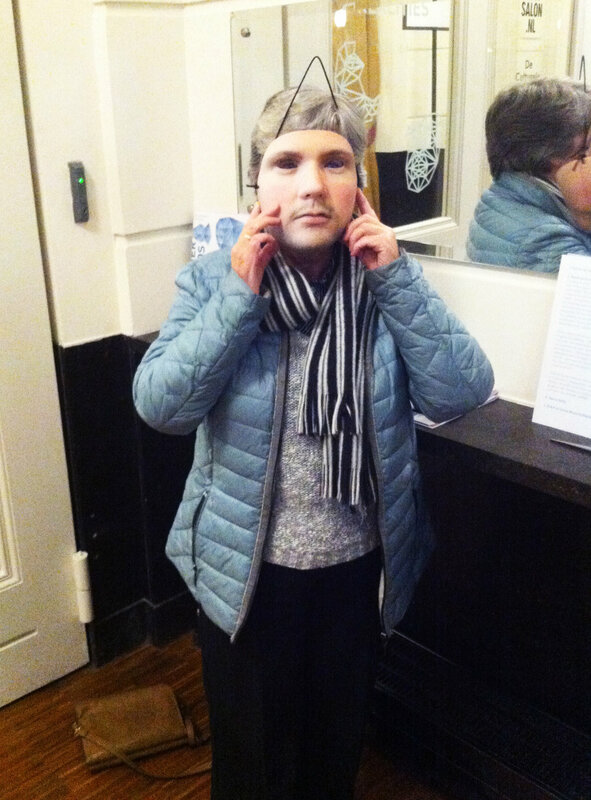 In addition over 200 URME Paper Masks were distributed on opening night. I spent 3 hours talking with the public about my project and how it fit this years theme of security it public spaces. We began with an active discussion about surveillance and its connection to identity, prejudice, and power. Participants wereinvited to make paper masks of themselves or of the artist's face to be worn in a walk to Crown Fountain. All activities were challenge-by-choice. 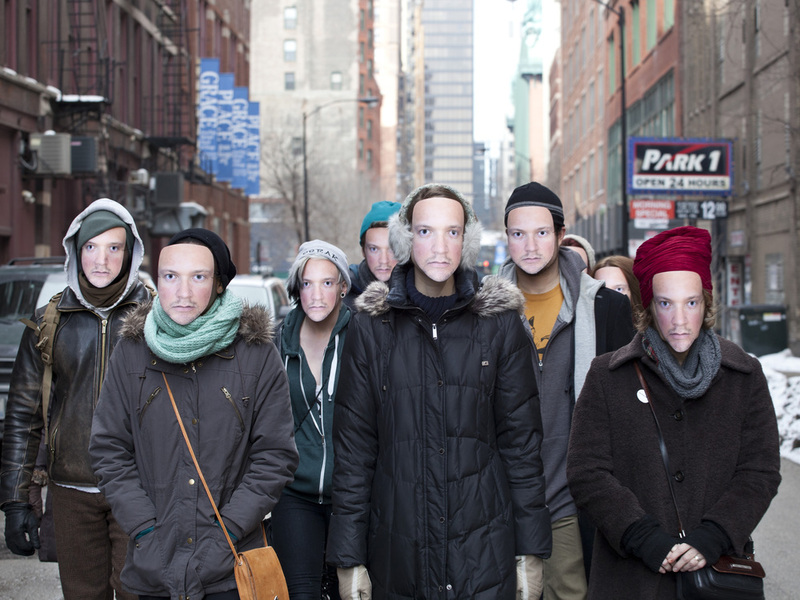 This is the first time that the public was invited to use their own faces for this project. You can view a short video below. I was awarded a DCASE IAP Grant to travel to present an academic paper and exhibit at the Vancouver Art Gallery as part of Disruption for the ISEA conference. The exhibition included three student performers from Simon Fraser University wearing my prosthetic that roamed the event and interacted with visitors. I also talked to and distributed over 300 URME Paper Maks to visitors. Through my work with URME Surveillance, I have also reached audiences, both public and academic, through interviews, articles, television, and scholarly publication. In part due to the success of the Indiegogo campaign, URME Surveillance went viral, with over 150 blog posts and several articles published in the first two months of the project alone. Below are some of the ways this work has been portrayed in the media as well as samples of my academic research. — excerpt from URME Surveillance: Performing Privilege in the Face of Automation. 2015 URME Surveillance: Performing Privilege in the Face of Automation , International Journal of Performance and Digital Media. CSI Cyber: Season 1, Episode 8, "Selfie 2.0"
I was approached by the creator of the CSI franchise, Anthony Zuiker, to option my work for an episode of his new program, CSI Cyber which stars Patricia Arquette and James Vander-Beek. 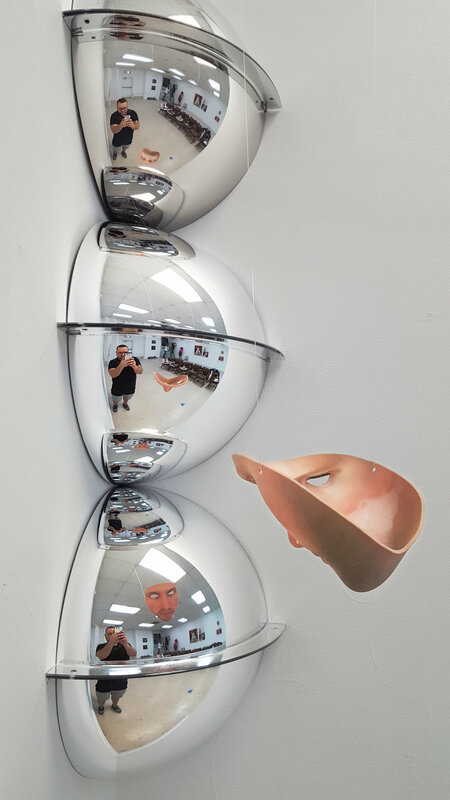 Biometric identification is becoming more prevalent and powerful, so artist Leo Selvaggio decided to take a novel approach to combat what he views as the growing surveillance state. 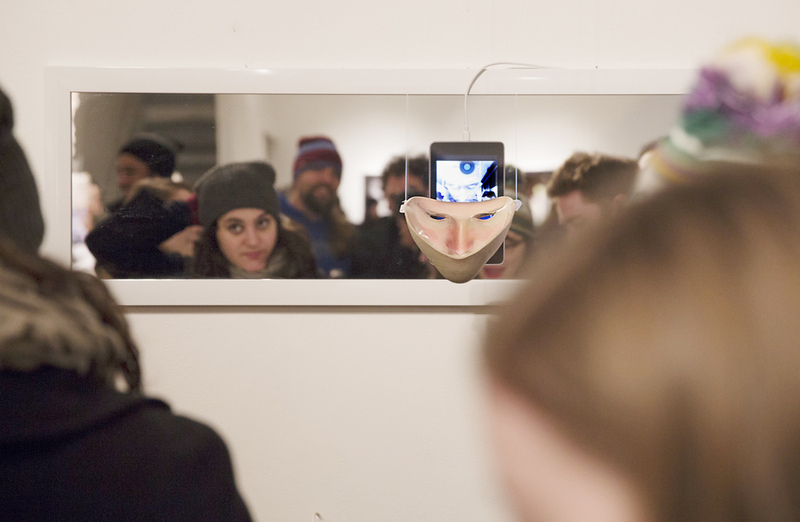 Selvaggio created a 3D printable mask that is a photorealistic copy of his own face, allowing users to trick facial recognition software and conceal the wearer's identity. 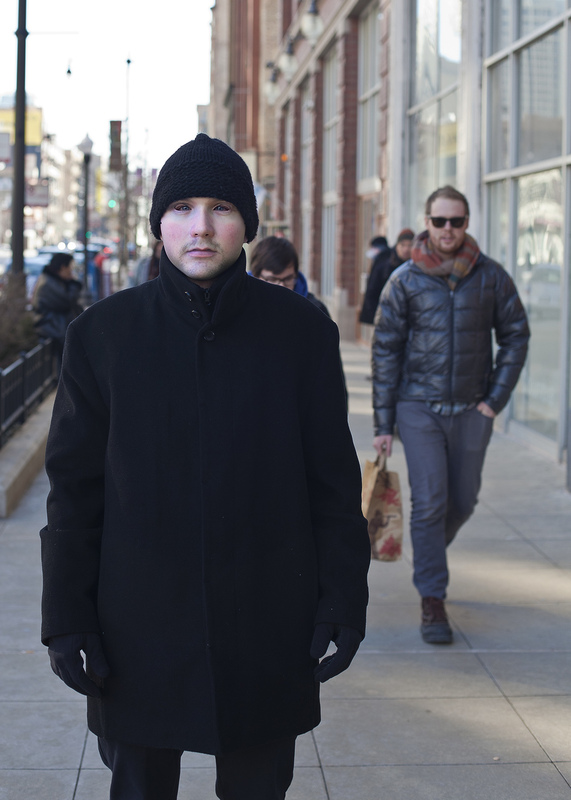 This is a story by NBC 5 Chicago exploring facial recognition and other biotmetric surveillance technology, in which I am featured for my work with URME Surveillance. I do not own this video but I do have permission to use this video for marketing and demonstration purposes. This is a creepy TECH TIME!!! 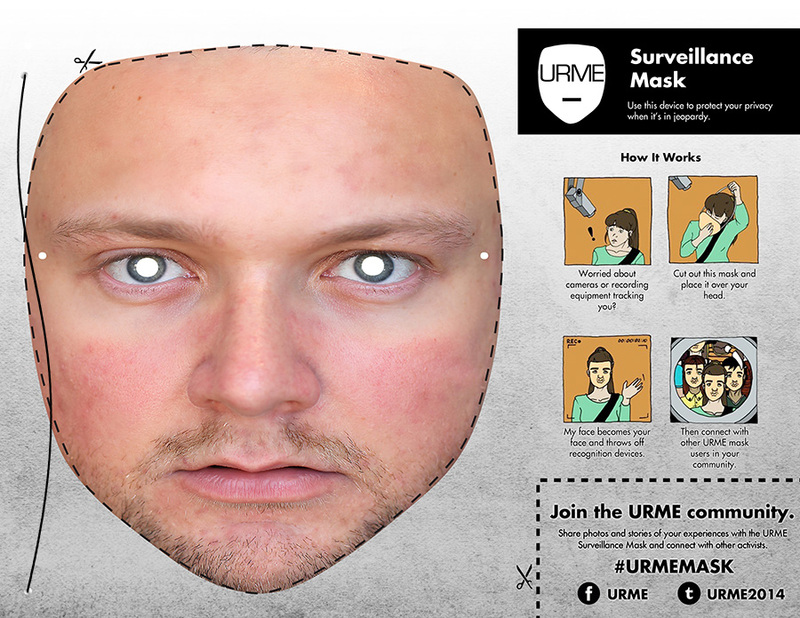 This is "URME," an Indiegogo campaign that features a mask that hides your face from surveillance systems. 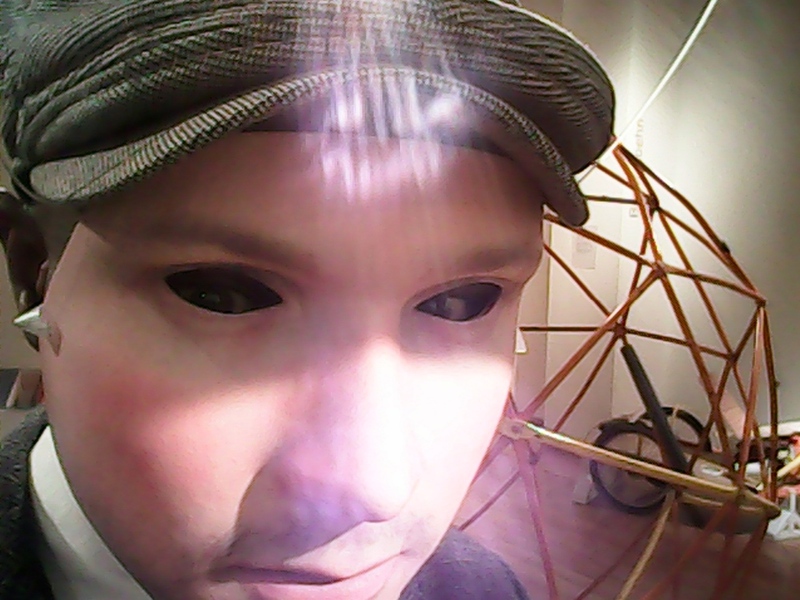 This mask is very photo realistic and can stop you from being identifed as you're walking around. The creator is trying to make a point about the constant surveillance he deals with in Chicago. In 2012, I became fascinated with post-human discourse as it applies to identity as well as being inspired by the open-source movement. Open source, a method of providing and promoting free redistribution, use, and public access to technology, has been traditionally applied to technological applications such as software and hardware. 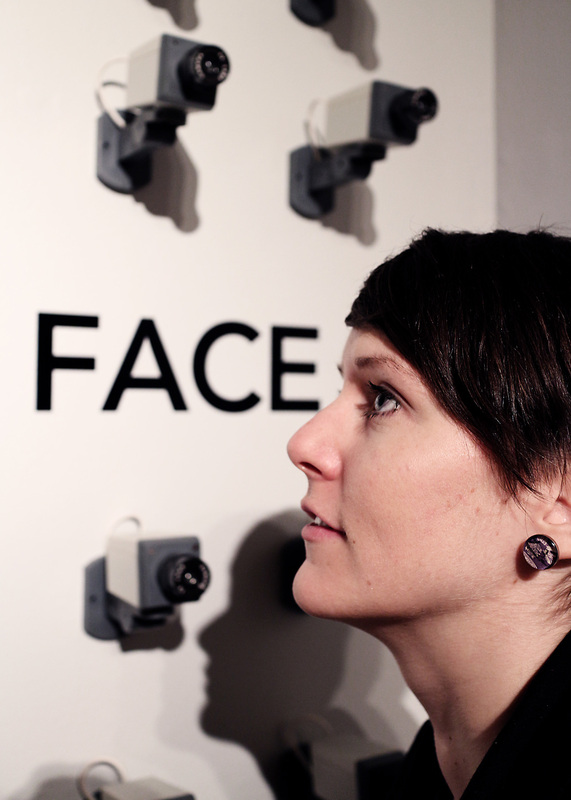 My work, www.youareme.net , explores what happens when the methodology of open sourcing is applied to identity. 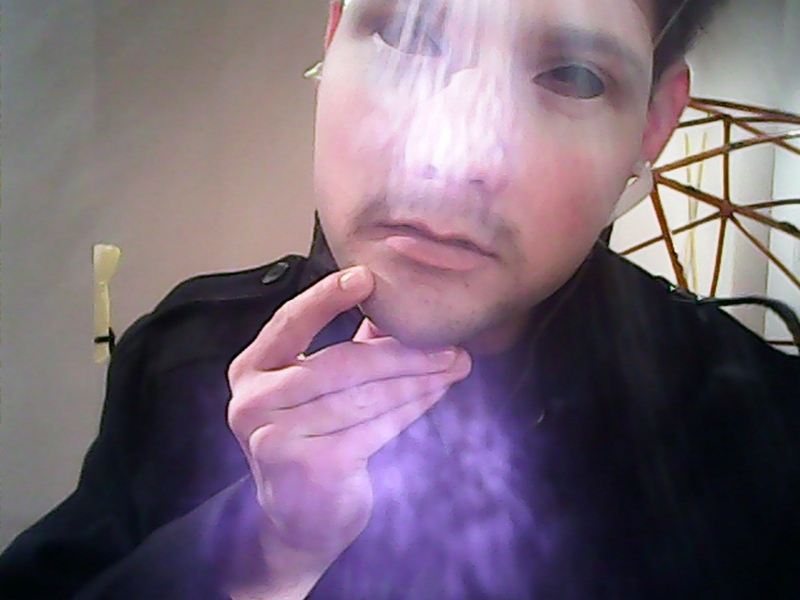 In effect, I have relinquished control over the creation of my persona online, and have provided to the public my identity and image as material to be manipulated, created, and even destroyed. In our highly surveiled and sensitive society, I am interested in what a public might do with open access to my information. I am not only concerned with the dynamics of supposed public and private information, but also with the carefully curated creation of an online identity. How do social technologies like Facebook shape the way we present ourselves, and how do we go about editing the realities of our lives for online consumption? And if we create or recreate ourselves through our technologies, who exactly could I be, if that process is one open to public discourse. Could this expand the possibilities of who I am, or ruin my cyber-social relations and credibility? URME Mirror. 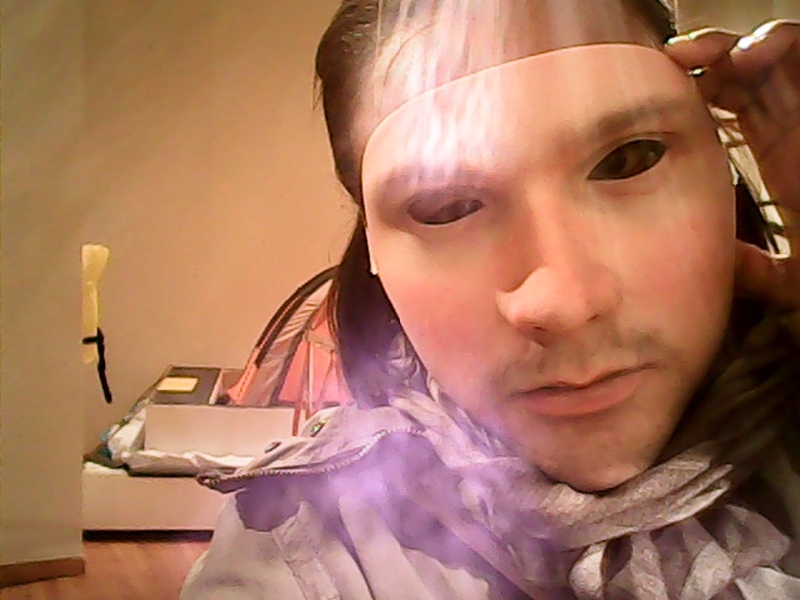 Is an extention of my work, YOUAREME.net, which seeks to multiply and extend my virtual identity. 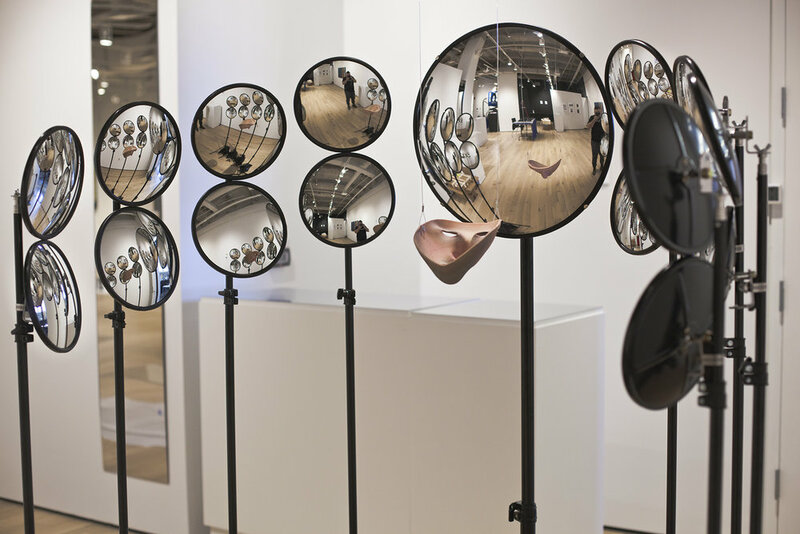 URME Mirror takes this concept and embues it with a physicality through an interactive installation.